Based on the latest US Census information, Stamford, Connecticut is home to more than 22,000 residents age 60 or older – more than 18% of its population. 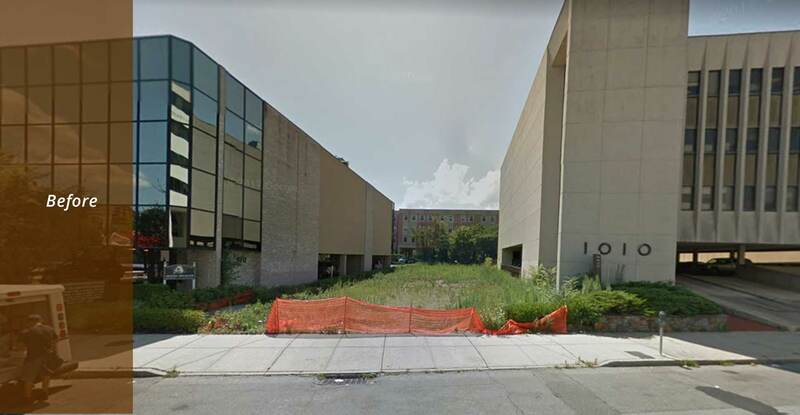 Kenneth Boroson Architects was selected to design new affordable housing for residents age 55 and older on a downtown “infill” site – vacant land surrounded by existing buildings. 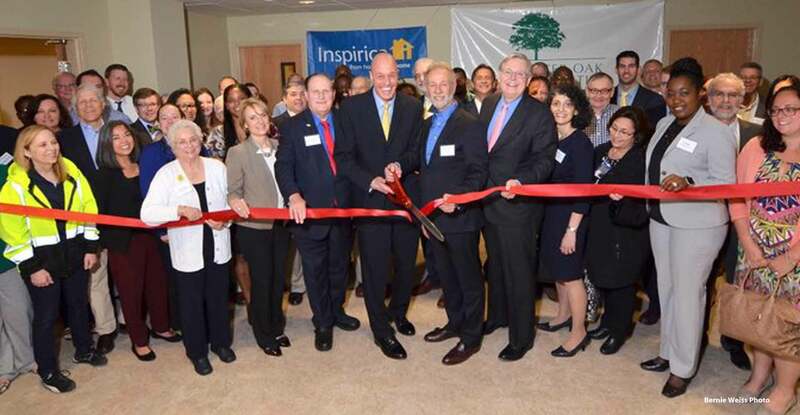 The project was developed by Charter Oak Communities (the Housing Authority of the City of Stamford) in partnership with Inspirica, Inc., a well-established city-based community service agency. 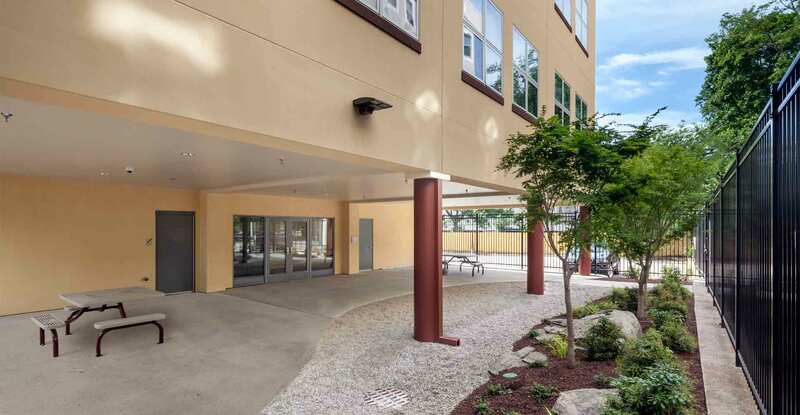 The new building replaces an older development, Czescik Homes, which was both physically and functionally obsolete, and was located near an interstate and rail underpass. In 2012, much of the land surrounding Czescik Homes was inundated during Storm Sandy, requiring the evacuation of all residents. 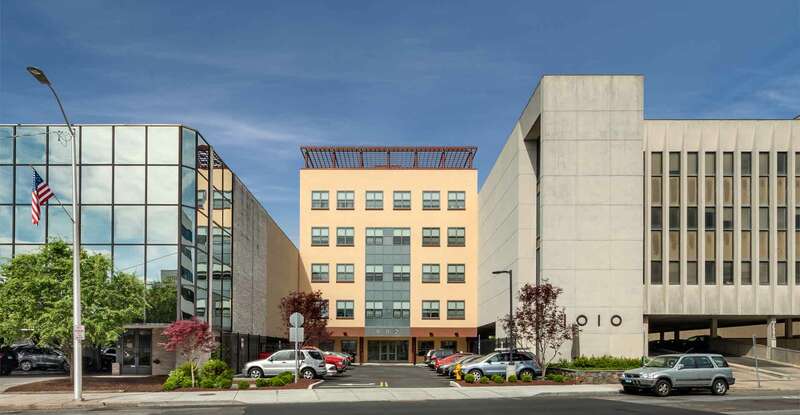 Summer Place, located at 992 Summer Street, offers better access to services, shopping, employment opportunities, and public transportation, and is not in a flood zone. 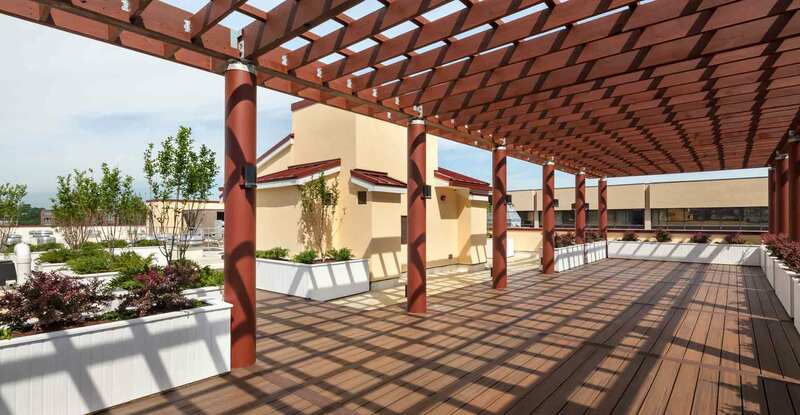 The new five-story structure contains 48 dwellings – 40 one-bedroom units and eight studio apartments. 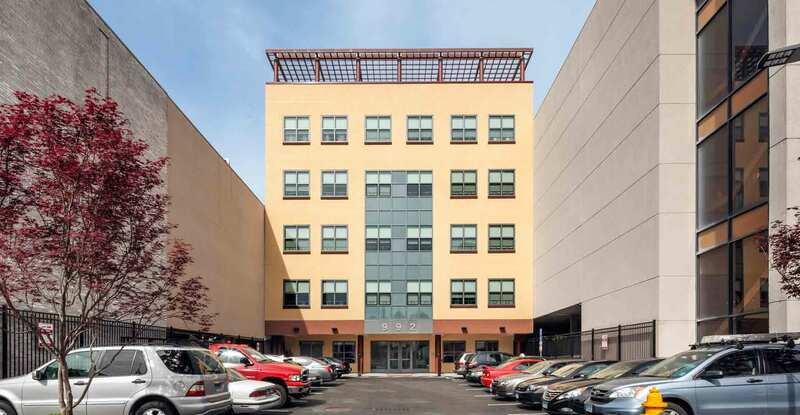 Half of the units receive federal Section 8 subsidies and the balance offer affordable rents well below market rate. 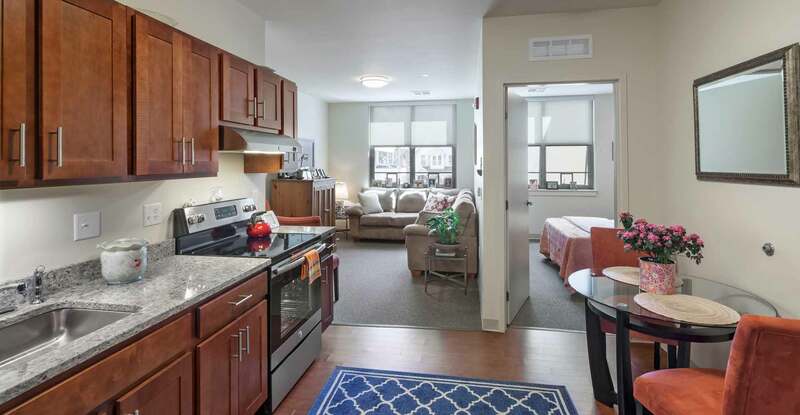 All have full kitchens, baths and living areas. 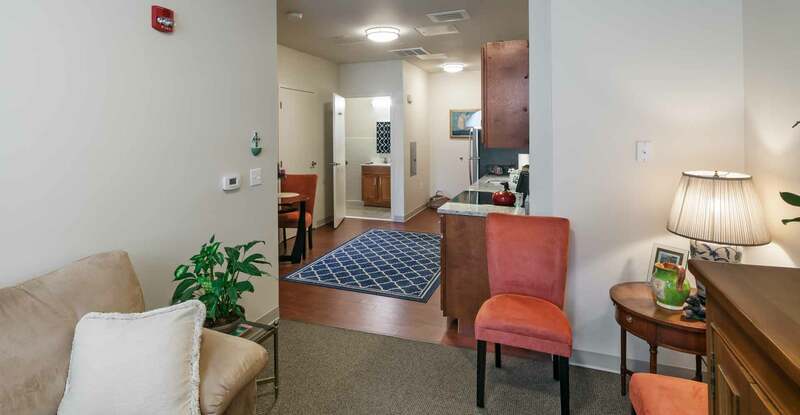 Laundry facilities are located on each floor, and residents have access to private basement storage. 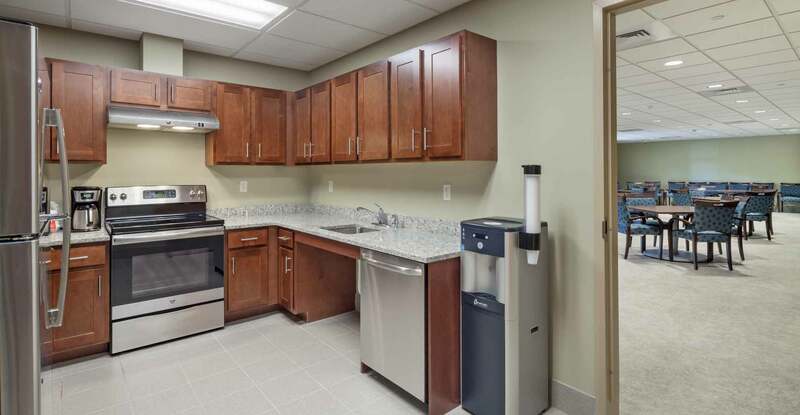 The ground level is completely devoted to community space and service areas, including the property manager, security station, case manager, health care suite, community room and kitchen, and laundry facilities. 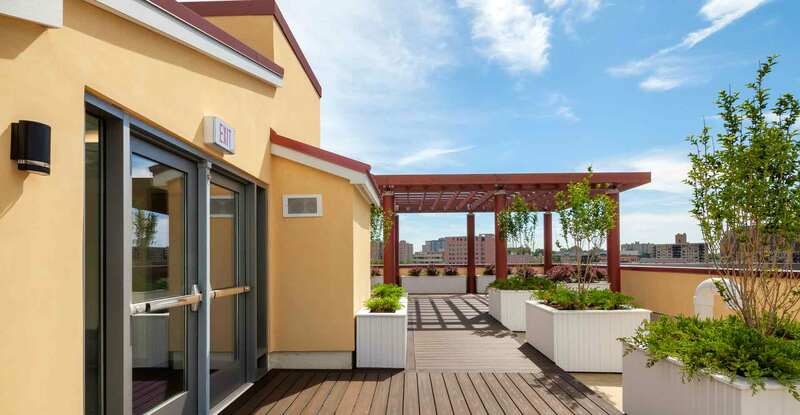 Additional community space is available to residents on the 6,500 sf landscaped rooftop deck, which features a trellis and plantings. 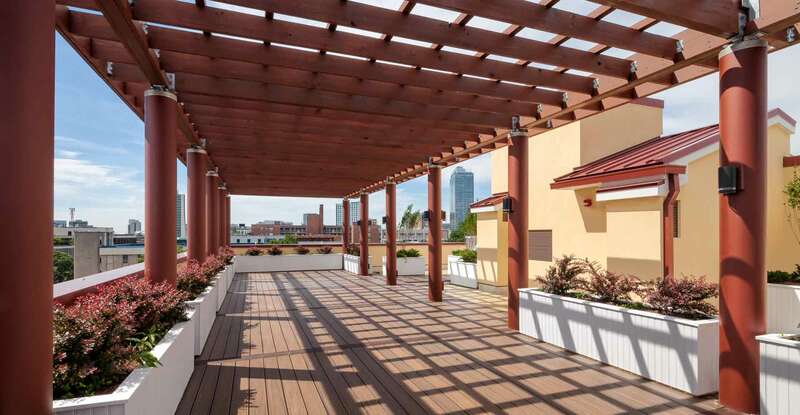 Exterior space is also provided via a protected, landscaped patio area, located on the ground level. 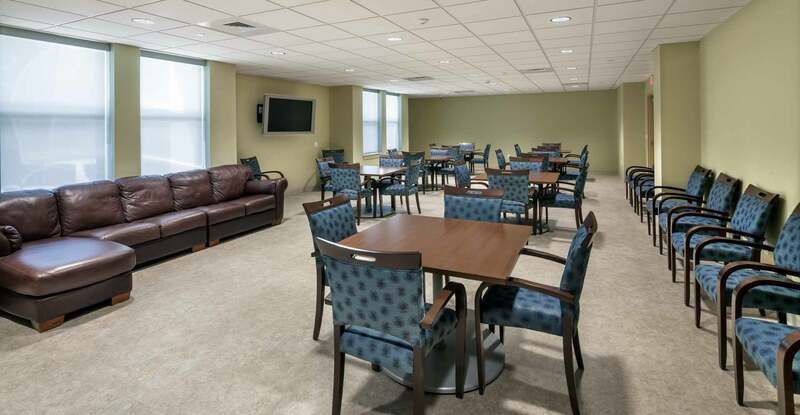 The entire 37,625 sf building was designed to be highly energy efficient, following requirements established by the Connecticut Housing Finance Authority (CHFA) and Energy Star guidelines. 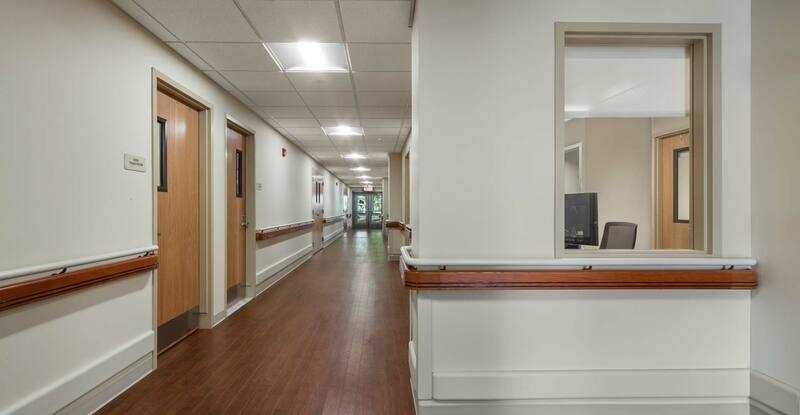 In addition to architectural and interior design services, our firm assisted Charter Oak in providing all necessary data for funding applications. 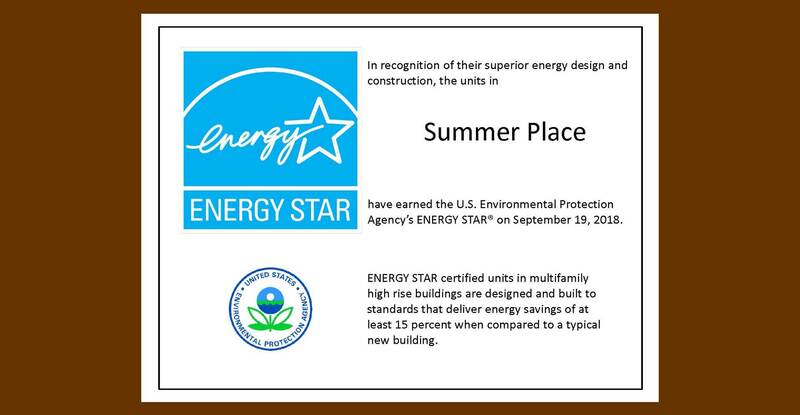 The project received public and private funding from various sources, including federal Low-Income Housing Tax Credits (administered by CHFA) and the HUD Community Development Block Grant Disaster Recovery program (administered by the CT Department of Housing), awarded to regions severely damaged by Storm Sandy. All 48 units were fully leased in advance of the April, 2017 formal dedication.